A comforting family favorite, easily made in the slow cooker! Cook the spaghetti squash, then spoon out the noodles. In a large skillet, brown the ground beef with the minced onion and garlic powder. Drain and set aside. In the same skillet, saute the mushrooms for 2 minutes and then stir in the beef broth and heavy cream. Whisk in the paprika and let simmer for 3 to 5 minutes. Stir in the sour cream and browned ground beef and let simmer for 10 minutes. Season with salt and pepper to taste. 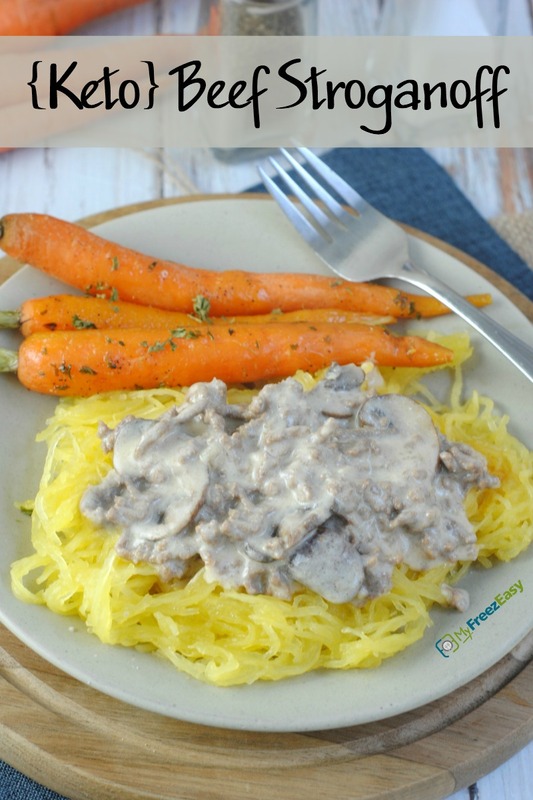 Serve Beef Stroganoff over spaghetti squash noodles with veggies. Brown 2 lbs. ground beef with 2 Tbsp minced onion and 2 tsp garlic powder. Drain and set aside to cool. Wash and chop 16 oz. baby bella mushrooms. Put baggie in the freezer and freeze up to 6 months in fridge freezer or 12 months in a deep freezer. Thaw in the fridge overnight, or a warm bowl of water for about 20 minutes, before transferring to skillet and reheating. Once bubbling, stir in the sour cream to thicken the sauce. Unfortunately, there is not a great option for dairy-free meal. Recipe is gluten-free when served over gluten-free pasta and homemade cream of mushroom sauce. Thaw and reheat contents of bag in skillet. Stir in sour cream to thicken sauce. 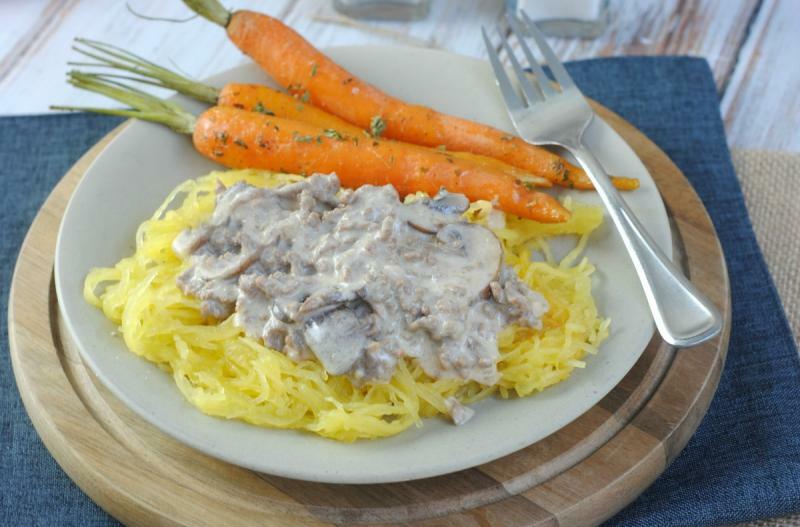 Serve over spaghetti squash noodles with veggies.